Deciding to attend the Monterey Jazz Festival is easy, especially once you’ve been there. It only takes one time to fall in love with the music, the ambience, and the setting, a WPA-era fairgrounds with winding paths and mature trees and a mixture of buildings that three weeks ago hosted the Monterey County Fair, complete with pig races. This will be our 10th consecutive year at the longest continuously running jazz festival in the world, co-founded in 1958 by Jimmy Lyons and Ralph J. Gleason with a big helping hand from Dave Brubeck, who paved the way by performing for the Monterey City Council in 1957 with his quartet. He charmed them, then graced the festival 15 times in 55 years. Deciding what to see once you’re there and the gates open Friday night is hard. Except for a single half-hour at the start, when the fine young pianist Jeremy Siskind will sit down for the first time at the piano on the Courtyard Stage, music will happen on multiple stages simultaneously all weekend long. (This year’s numbers: 500 artists in 86 performances, four conversations and a film, squeezed into a short Friday night and two days that start at noon.) And except for the 15 minutes between 6:45 and 7 p.m. Saturday, there’s music happening somewhere all the time. So you can’t see everything unless you dash from venue to venue up and down the fairgrounds, grabbing a few notes here and there. We’ve tried that, sort of, and what happens is you get sucked into a tune, a solo, or the sound of a duo or trio or band, and the next thing you know, you’re cheering and clapping and calling for an encore like the rest of the crowd. We’ve done the festival many ways: planning every minute, which doesn’t work for us because we’re easily distracted; making few to no plans, which means we end up missing things we really want to see; and running around like crazy people. Whatever you end up doing, you’ll have a good time. How can you not, in such a beautiful place with such terrific music and exceptional fair food? We think the perfect MJF experience lies somewhere between adhering to a schedule and hanging loose. With that in mind, here are our top six picks for 2014 and why. Geoffrey Keezer. Because he’s an exceptional pianist with an amazing resume. Now in his early 40s, Keezer joined Art Blakey’s band at 18 and toured with Ray Brown in his 20s. Because he’s someone who can accompany singers (Diana Krall, Dianne Reeves) and superstars (Chris Botti, Sting, Wayne Shorter) and still have much to say as a composer and soloist. Because he can play anything with anyone, which is why he’s in such great demand. Because his trio dates at Monterey in the intimate Coffee House will honor two artists we miss a lot: Mulgrew Miller and James Williams. Charles Lloyd. Because jazz is more than sound and rhythm. It’s also spirit and soul, and no one makes that more clear than 76-year-old sage and guru Lloyd. Because his music lifts you up, which is not the same as saying it’s feel-good music; it’s far more profound than that, and more satisfying. Because he’s a master, which is why all the great younger musicians – people like Jason Moran, Gerald Clayton, Eric Harland, and Reuben Rogers – want to play with him. Because if you’ve never heard him live, you owe that to yourself, and if you have, you know. Jason Moran’s Fats Waller Dance Party. Because Moran is a shaper of jazz and culture, someone whose influence will be felt far into the future. Because he’s a 21st-century jazz man, a MacArthur “Genius” fellow, artistic director for jazz at the Kennedy Center (the position formerly held by Dr. Billy Taylor), a composer, performer, band leader, educator, visionary, standard-bearer and provocateur. Because his Fats Waller project is the sort of thing he does really well: rooted in history, brand-new, smart, and wide-open. 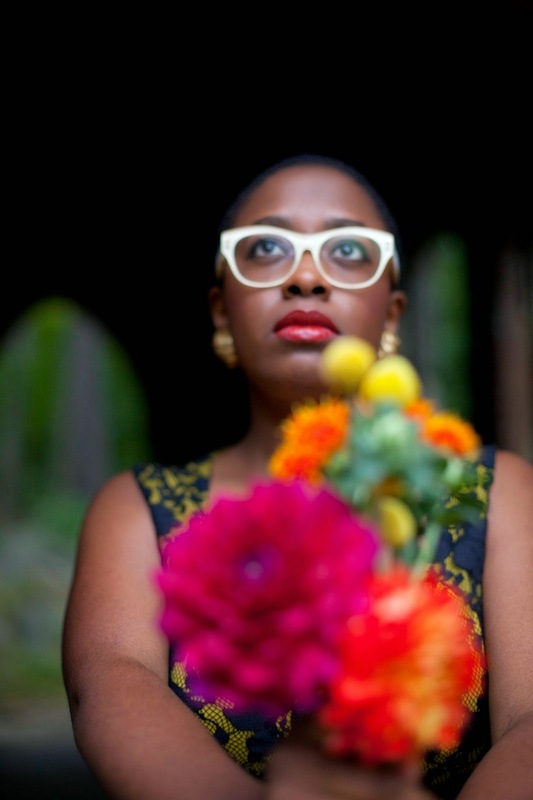 Cecile McLorin Salvant. Because she’s the hot new female jazz singer (the 2010 Monk Competition winner, a 2014 Grammy nominee, winner of four categories in the most recent DownBeat Critics’ Poll). Because she’s the real thing. Because what she can do with a single note will astonish you. Because she sings with conviction, precision, and passion; because, at the tender age of 26, she’s an old jazz soul; because everything about her is just right. As I write this, I’m listening to jazz trumpeter/composer John Raymond’s next CD, a not-yet-released collection of 10 tracks recorded earlier this year with the acclaimed pianist Dan Tepfer, the in-demand bassist Joe Martin, and legendary drummer Billy Hart. It’s a group of musicians the Minnesota native and Eau Claire grad would not be recording with if he hadn’t moved to New York in 2009, hit the ground running, and been dead serious about certain things: learning, listening, finding mentors, forming relationships, and evolving as a musician and as a human being. He’s very good at all of those. His first CD, “Strength and Song,” came out in 2012, a solid debut. The new one, tentatively titled (for now) “Foreign Territory” after the first track, is still his music, still his presence and clear, radiant tone, but better. Stronger, smarter, more soaring and swinging. Raymond returns to the Twin Cities this weekend with his New York-based Roots Trio for a concert and another recording session. 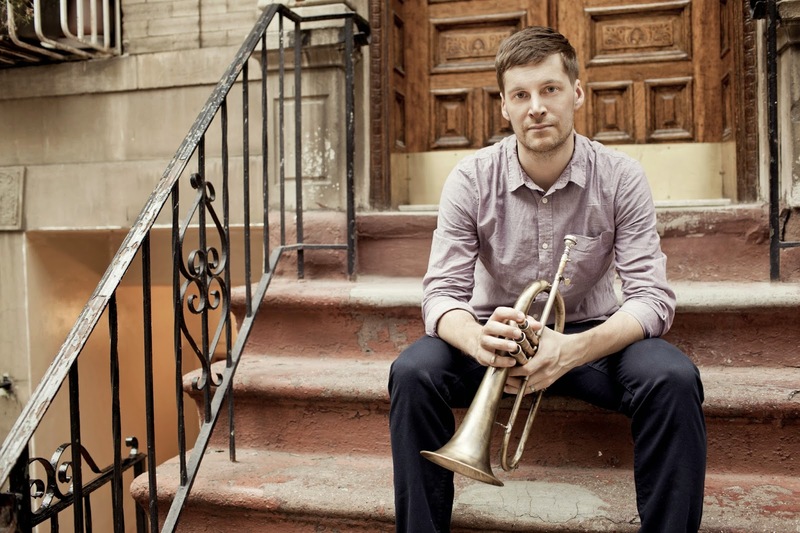 The trio features Raymond on flugelhorn, guitarist Gilad Hekselman, and drummer Colin Stranahan. They’ll play Saturday at Studio Z, the St. Paul listening room run by Zeitgeist, the new music chamber ensemble. We spoke when he was here in July, and before then in January (and also in March 2012, soon after the release of “Strength and Song”). In conversation, he’s open and direct, confident in his abilities but without arrogance or attitude. This piece combines parts of our two most recent exchanges. I asked the questions, but he gave the answers, so I’ll get out of the way. JR: What I’ve realized in New York is that the intensity level is always there. People play with so much intensity all the time that it took me a little bit to get on that plane. Now that I’m there, now that I realize what that feels like, I hate anything that doesn’t feel like that … The music is all that we as musicians have. If you’re not going to put 100% into it, why do it? I don’t want to hear something that lacks that intensity, that commitment. There’s a certain rhythmic intensity that has to happen in jazz. A certain melodic intensity. And harmonic intensity. After that, it’s all a personal stand … You just want to do something that’s honest to you. What’s honest to me now looks different than it did three years ago. And I have to honor that. If I’m committed to that, it doesn’t matter what it sounds like, it’s going to work. In my first couple years in New York, I was doing a lot of reacting. I would be in these musical situations, playing with people a lot better than me, and thinking I wanted everybody to be on an equal playing field – for everybody to have a say in what was happening in a given musical moment. I realize now that when I’m the soloist, I direct where the music goes. As a bandleader, I have to direct and lead. I’ve always felt like a capable leader, I’ve always realized I have those skills, but now I have the tools to lead more fluidly and effectively. One of the big things I realized musically is that I was trying to control all of these things – my sound, improvising, the arc of a solo I would take, or the arc of a whole song. I wanted so much control! Then I saw that the people who are most inspiring to me would abandon that control and go with something spontaneous and unknown. That, to me, has been the thrill. I’ve gotten into not knowing what’s going to happen next. At first, that was kind of terrifying. But now I’m okay with it. The unknown is one of the most exciting parts about jazz. There was something about the white music/black music thing that made sense to me. A voice in my head said “Stop trying to be who you’re not. Be who you are. You’re a Minnesotan white dude who grew up in a Lutheran church.” So, what does that mean for me? What does that look like? It’s changing how I’m playing, and how I try to improvise. When I started getting into Lee Konitz, I saw that Lee is not trying to be like anybody else. He never has. He doesn’t care anything about what anybody else thinks. I know what aspects I bring to the music, in terms of improvisation. I know I’m not a super-free player like Taylor Ho Bynum. I’ve been bred to have a really great sound, so in that way, I’m going to be different. I know that I think about music in a certain way. I want people to hear that I understand the tradition, because I do. So some of the things I’ve told myself over the last couple of years are, “Stop playing to try to impress people. Be okay with just playing the tune, playing the changes, playing something that is melodically really great.” What makes Lee Konitz so great is that he plays a lot of amazing stuff, but it’s not like he’s reinventing harmony or melody. John McNeil [trumpeter and producer of Raymond’s new CD] has harped on me to get more of a vocal quality in my sound and how I play. The people we tend to connect most with as improvisers have a primal vocal quality. The music sings to you. I’d kill to work with Brian Blade. Brian Blade and Dave King are two people I would love to record with at some point in my life. Last year, I ended up doing two different recordings. Both were with Gilad, and ever since we recorded “Strength and Song” he was always my first-call guy. There’s some kind of connection I feel with him – the way he makes music, and our relationship. There’s something there that I really want to keep. So I pared it down to a quartet – Gilad and I and a bass and drums. We recorded two different times with different musicians, and both of those times I played only flugelhorn. Both of those recordings didn’t turn out how I wanted them to. There was just something about them that didn’t feel right. For a while, I’d been thinking about doing a project with just a trio, with a different instrumentation – something a little fresher, something I’m not used to hearing or feeling. I emailed the guy who books The Bar Next Door in New York, which is a trio venue with no piano. I was just trying to get a gig, and thinking as I’m writing the email that I should propose a gig with me and guitar and drums. The guy knows Gilad really well, and Gilad plays there a lot. We ended up booking a gig. I had thought about Colin, but he couldn’t make that one, so Eric Doob, who’s another great drummer in New York, ended up doing it. Then I thought, let’s just scrap the whole originals thing. Let’s play songs that people are familiar with, whether that’s folk songs or hymns or indie rock tunes, and incorporate some standards in there, too. I spent a while getting the music together, working out certain arrangements, but I didn’t work out too much. I just wanted to throw it at people. And we did the gig, and it was a really special night of music, and I could feel it, and Gilad felt it, too. Part of the heartbeat of jazz is the joy that comes from the spontaneity. I have known that intellectually for a while, but after the Roots trio gigs and playing with Billy (Hart), it has come full circle. Something I’m telling myself a lot these days is, “Just make it feel good. Have fun with it and be happy about the music you make.” I notice a difference in how I feel and how everybody else reacts. I’ve transitioned to only playing flugelhorn with the trio. I think it sounds great with guitar. That comes out of the Art Farmer/Jim Hall influence. Farmer is one of the only people who’s known for playing mainly flugelhorn. I got a new flugelhorn, and there’s something about it and just playing flugel in general that has brought out a voice in me that I didn’t have playing trumpet. The Art Farmer/Jim Hall groove inspired the whole pairing, and now I’m putting it in a different context, which is kind of cool. We’ll be doing an arrangement of “This Land Is Your Land,” and an arrangement of “Blackbird,” the Paul McCartney tune. With a jazz sensibility. The nature of the instrumentation, specifically flugelhorn and guitar, will lend a rootsy feel to things, for lack of a better word, so I’m not as concerned about squeezing the jazz out of it. We’re doing an arrangement of “Scarborough Fair” by Simon and Garfunkel. An original, “Thaddeus,” in dedication to Thad Jones, based on his song “Three and One,” so it’s a contrafact. We’ll do a couple original songs of mine. Probably a Chris Morrissey tune, “Minor Silverstein,” off his “North Hero” record. An arrangement of “Amazing Grace,” an arrangement of “Be Still My Soul,” and an arrangement of the hymn “I’ll Fly Away,” which most people have probably heard on the soundtrack for “O Brother, Where Art Thou.” A Thom Yorke song that [Twin Cities saxophonist] Chris Thomson introduced to me long ago that always stuck with me. I think that’s it – 12 or 13 songs. I’m trying to plan compositionally and be smart – use my intellect in a good way to keep things interesting and fresh, but also leave a lot of space to let the musicians do their thing. That’s one of the strengths of the band. When I put out “Strength and Song” [in 2012], it was like – okay, I’ve got a record now. I’m going to try to play all these festivals. I’m going to get an agent and play all these clubs. I was so gung-ho to make a big splash. But I didn’t have much success. It definitely opened a lot of doors, but it didn’t have the impact I was hoping it would. That was disappointing, and hard to go through. I didn’t get a DownBeat review or a JazzTimes review. I didn’t get many good reviews from notable press. I was upset about that at first, that I didn’t get those reviews. That conversation has stuck with me. Instead of thinking “I should’ve gotten this review” or “I should’ve done this,” or “those people should’ve liked the record” or whatever, just focus on the music. I’ve learned so much about how to take care of the music, and how to invest the heart and soul of my energy into that. Nothing has happened yet with the record with Billy, and we haven’t even recorded yet with Gilad and Colin, but I can already sense that things are very different from me than they were three years ago.